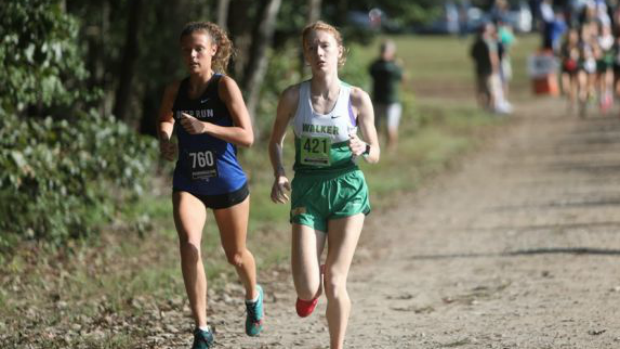 Making the Foot Locker National meet is one of the biggest honors a high school runner can achieve. Many athletes this weekend from a dozen states will be trying to just that by placing inside the top ten this weekend. Only those ten athletes will make it out to the national meet in San Diego. Leading the forefront on the guys' side to make it the West Coast is Daniel O'Brien, Joe Hawkes, Jack Eliason, Chase Osborne, Theo Woods, Jackson Leech, and Tyler Lipps. All of these guys have the speed but cannot risk an "off day". The favorites amongst these guys to make the cutoff are O'Brien, Hawkes, Osborne, and Eliason who time after time have showed us their speed. Most importantly, they have also shown us that speed very recently. This race will likely be one settled right at the fifteen minute barrier. Don't expect any runaways in this race, especially from the Texas runners. Expect there to be a huge pack of guys at the mile and then twenty guys in contention at the two mile. Only around the final lap of the lake do we expect runners to create some separation. Positioning will be everything Saturday. You must prepare yourself for that sprint to the finish to have a chance at the top ten. On the girls' side there are fewer girls with a chance but arguably each has a little more solid of a chance of making it. These girls include Mary Caroline Heinen, Ava Hassebrock, Julia Ghiselli, McKenzi Watkins, Laura Webb. Out of these girls it is MC Heinen with the greatest chance of making the trip. She could arguably finish top three even this weekend. This race will certainly be interesting because Virginia has some strong runners who could make the national cut-off if the race does not become a dead sprint to the finish. Our predictions are that five Virginia athletes will make the cutoff to nationals Saturday.